So what happened? Hit by a bus? Suicide? Those paying attention were baffled by Trampier’s disappearance, though Tom Wham (designer of Awful Green Things from Outer Space and Snit’s Revenge) indicated that he believed he was alive. Tom’s sister, Nina Wham, was married to Trampier at the time, indicating he had reason to know Trampier was still drawing breath. Still, Wham indicated that he himself had not been in touch since 1982. Barbara Manui & Chris Adams, known for their work with another Dragon Magazine comic “Yamara” started information gathering and discovered the possible reason for the disappearance, which they posted from a verified source (name withheld) on their site here. To summarize, it states that Tramp appeared to be upset, and perhaps delusional or paranoid in regard to events occurring at Dragon Magazine at the time. It goes on to state that he was an uncompromising and perhaps antagonistic artist that made life difficult for himself at the magazine. While interesting, it still leaves us the mystery of his disappearance. As I began to research the issue, there still were no leads. Then, in 2005, a reporter named Arin Thompson with the Daily Egyptian wrote a story titled, ‘Coffee, cigarettes and speed bumps: A night with a Carbondale cabby.’ It showed a picture of a bearded man, arm draped over the door of his cab. It was Dave Trampier, back from the dead. This was groundbreaking. This not only proved that Trampier was alive, but that he was living or at least working in Carbondale, Illinois. Within a short period of time, Trampier’s home address was accessible through the Jackson County, Illinois public records. It appears that with this reemergence, a number of individuals attempted to contact Trampier. An individual identifying himself under the handle of “Baj” on the message board of Paizo.com indicated that they had contacted Trampier to discuss the purchase of original artwork. This initial contact began friendly, with Trampier expressing an eagerness for others to view his work, but became more withdrawn and negative over time. 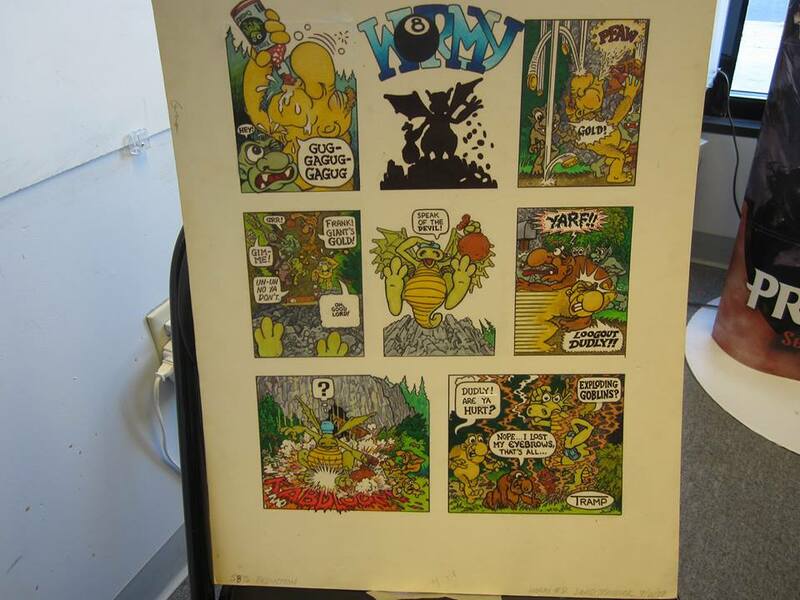 Jolly Blackburn of Knights of the Dinner Table fame indicated that he contacted Trampier to make an offer for publishing his original Wormy strips. Wizards of the Coast stated in their 30 year retrospective, “Thirty Years of Adventure” that Trampier was alive and well, but no longer worked in the gaming industry. Despite this, his devoted fans remain surprisingly active. The Dave Trampier Fan Club Facebook page counts among its members Luke Gygax, Ernest Gary Gygax Jr., Jolly Blackburn and David Kenzer of Kenzer & Co., and Troll Lord Games. It’s a lot of fandom for an artist who hasn’t published a new piece of art in 25 years. 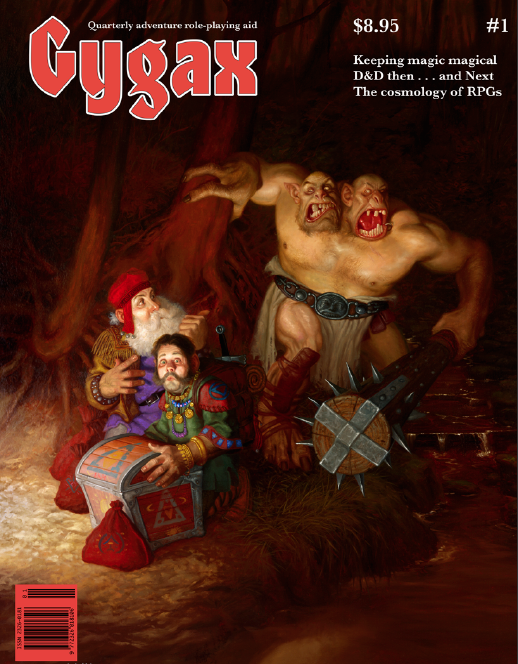 Others pay tribute through homage and imitation, such as Dungeon Crawl Classics featuring of numerous references or parodies of Trampier’s previous work, recalling classic Trampier art to evoke images core to fantasy role playing. Whatever Trampier’s reasons for leaving, it is clear that his work is loved and appreciated throughout the gaming world, and should he choose to return, he will be welcome with open arms. EDIT: We are sad to report that Dave Trampier died March 24, 2014 in Carbondale, IL at Helia Healthcare. He was 59 years old. Tragically, it appears that immediately prior to his death, he made plans to exhibit some of his artwork at a Carbondale Con called Egypt Wars 2014. He advised the organizers that he was suffering from cancer, but that he was overcoming it and would need transportation to the convention. A sample of the art he planned to exhibit is shown below. The fact that just too late he started to return to the people and fans that loved his work so much absolutely breaks my heart. But with his passing, we see many in the gaming community that loved him, and with it the promise that Dave Trampier will not be forgotten. In this third installment of the Pathfinder Society series of pregenerated characters we present the Riders of Absalom. These characters are a sort of rapid response team of Pathfinders who all ride in the name of the Society. 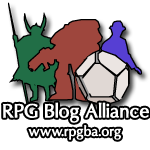 As always, our goal is to provide a balanced party of characters with a common theme that can be used to complete a legal Pathfinder Society Oraganized Play table. Below are the Riders’ personalities with their character sheets in the Downloads section. Hailing from the treacherous and demanding deserts of Osirion, Grundor is a tough half-orc capable of conjuring natural magic. Riding his camel companion Yabla, he has been known to charge recklessly into battle with his scimitar raised high and a battle cry on his tongue. Vain and proud, the Varisian Sczarni beauty Charissis cares nothing but for herself and gold to be made as a Pathfinder while riding her loyal steed Chaos. A fun loving blue-haired gnome, Nuddlin joined the Pathfinder Society for the fun and sport of it. Riding his mystical giant toad Gaidis, he happily runs errands for Valsin and the Grand Lodge. As a messenger and scout for the Andoran army in the wilderness, Zaria rides her steed Wildflower hard and fast. Carefree and somewhat flighty, she still manages to live up to her responsibilities and fight for freedom and democracy. Quiet and meditative, Chun Cho has enjoyed his travels through lands beyond his homeland. He has now joined the Pathfinder Society as a representative of the Lantern Lodge so that he may learn more of the world. Next month, thousands of people around the world will be shipped their super deluxe Reaper Miniature kits from their massively successful Kickstarter of the “BONES” line of unpainted plastic miniatures. It was a phenomenal success for such a project, generating over $3.4 million for the company located in Denton, Texas. I had the pleasure of attending the very first ReaperCon in 2004, where I got to tour the factory, meet the employees and take some classes with some masters of the craft including Marike Reimer, Jen Haley and Anne Foerster. A highlight of that weekend was getting some help with sculpting from Sandra Garrity and Julie Guthrie. ReaperCon has continued for the last several years. It’s being held April 18 – 21 this year and I’m sure it’s going to be a great time. If you are a beginning painter, I suggest you read “The Craft” section of the Reaper Miniatures website in detail. Of particular interest is this article on setting up your workspace and a “shopping list” of things you will need before tackling the painting of your Bones. There’s also a ton of great sites that can give you some insight on how it’s done… but the best route for you to take is to just sit and paint. Don’t worry that your first miniatures might not be expert level, it takes a lot of practice to get everything just right and you have to train yourself when you do a new hobby. In case you haven’t seen it, Reaper posted this “unboxing” video of their “Vampire Level” prototype last month. I keep watching it, hoping that soon my very own box will be winging it’s way to me! March can’t get here fast enough!